Now I’m a bit hopeless at taking good photos. I take pictures that usually end up blurred, have bad composition or have my thumb in the corner etc. I blame the camera, it’s simply not good enough and now I have photographic evidence. 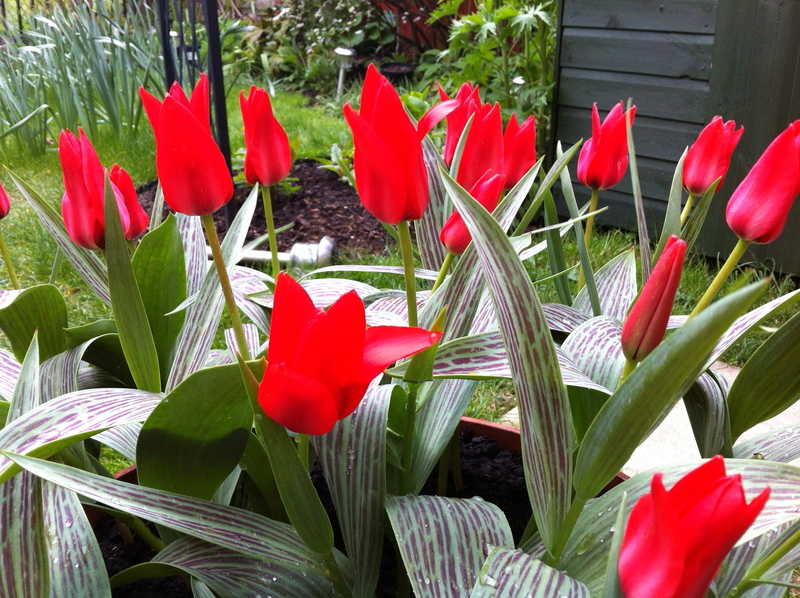 Just look at this photo of the mini Tulip “Red Riding Hood”, they’re now out and the vivid bright red colour of the flower is just too much for the camera to take in and they look artificial or otherwise post-processed when I take a picture of them.